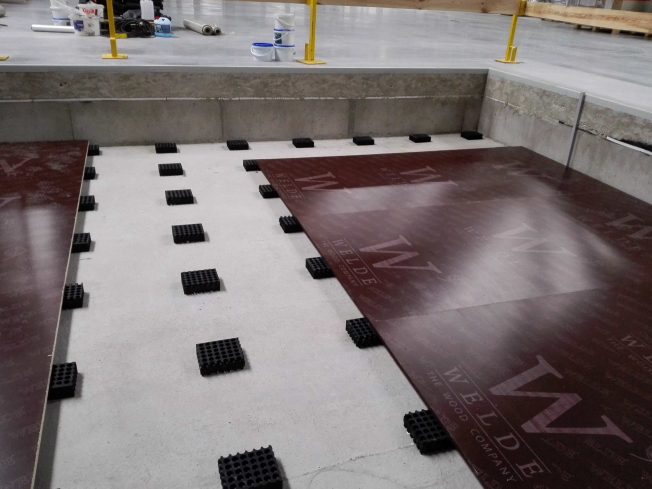 We are pleased to bring to market our highest-performance and most advanced grade of commercial floating floor yet: CineFLOOR MAX. Engineered to meet the specific and rigorous acoustic demands of 4DX auditoria, the new CineFLOOR MAX system incorporates high damping isolators to control and constrain vibration, while still providing exceptionally high levels of sound insulation performance. 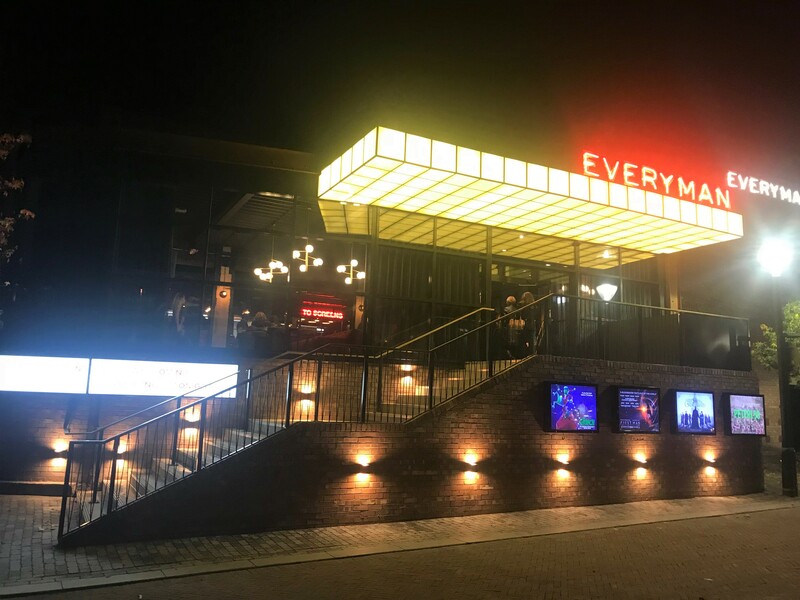 Development of the CineFLOOR MAX system began following Farrat’s role in the design, supply and installation of the new Cineworld Bracknell – one of the first purpose built 4DX Cinemas in the UK – as well as several years of research into cinema motion technology. CineFLOOR MAX is future-proofed using the most extreme calibration routines from 4DX suppliers. The MAX system not only isolates the vibration from adjacent auditoria, but also controls the slab response that the 4DX seats are mounted to, offering superior motion feedback and a more immersive 4D experience. 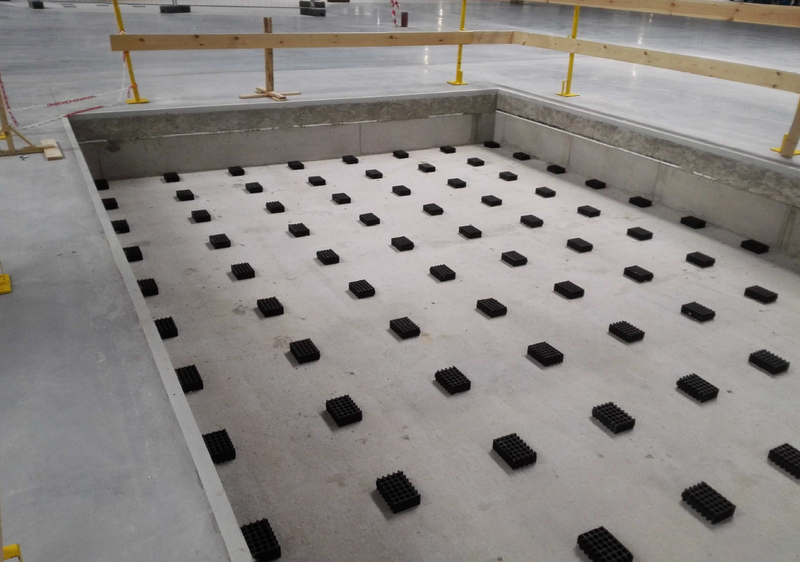 CineFLOOR MAX floating slabs can be designed with a fully fibre reinforced concrete to allow easy seat installation without the risk of hitting the rebar and self-compacting concrete can also be used to ensure high flatness tolerance is achieved, to allow vinyl or carpet to be laid directly on top of it. 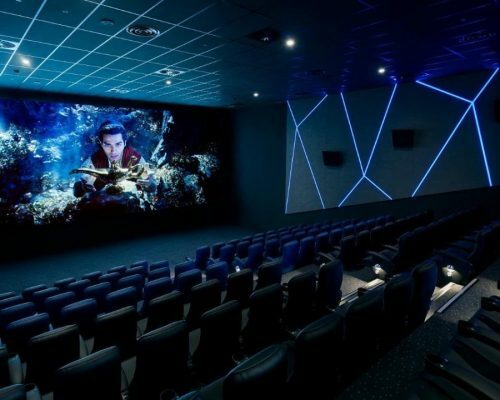 CineFLOOR MAX sits at the top end of the CineFLOOR range, engineered to provide the highest levels of acoustic isolation performance for the most demanding cinema applications – predominantly 4DX and multiplex cinemas. Our ultimate aim for CineFLOOR MAX is to enhance movie-goers’ 4DX experience and maximise value/impact for cinema developers. To identify which grade of CineFLOOR is right for your auditorium, use our suitability table here. 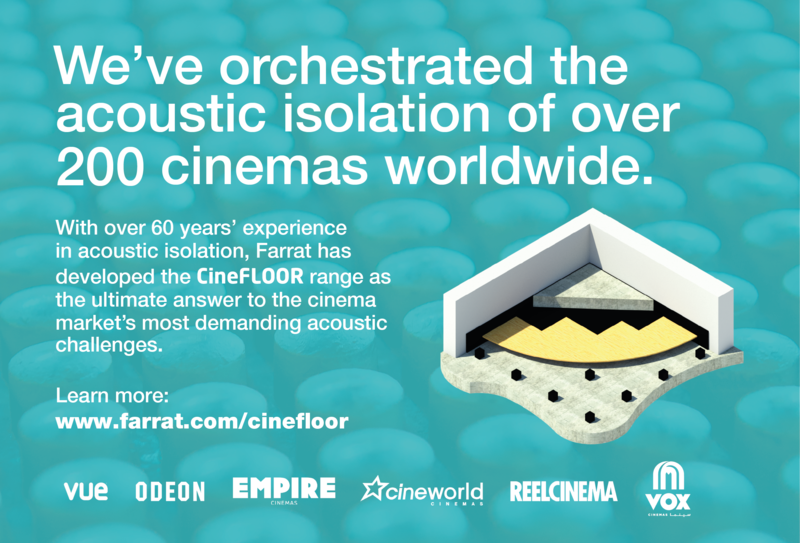 For further information on CineFLOOR MAX, or to discuss a project, Contact Farrat Building Acoustics Team. 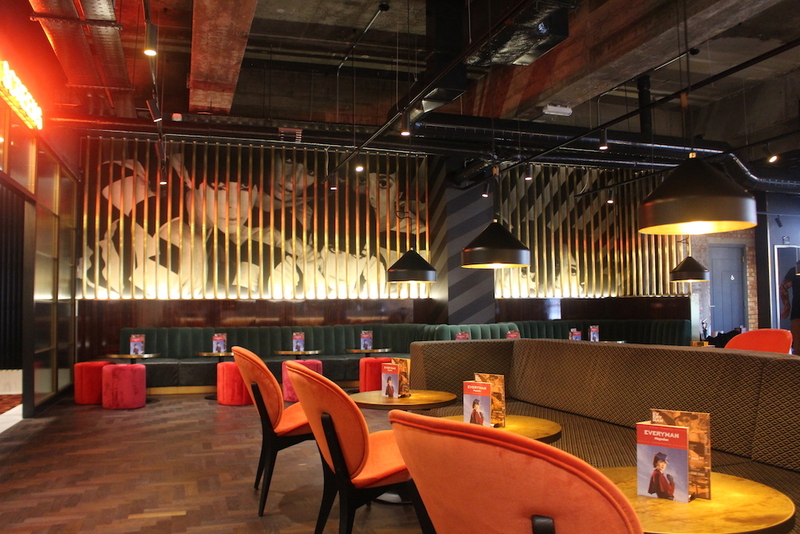 CineFLOOR is the construction markets first range of high-performance acoustic floating floors designed specifically for cinemas. 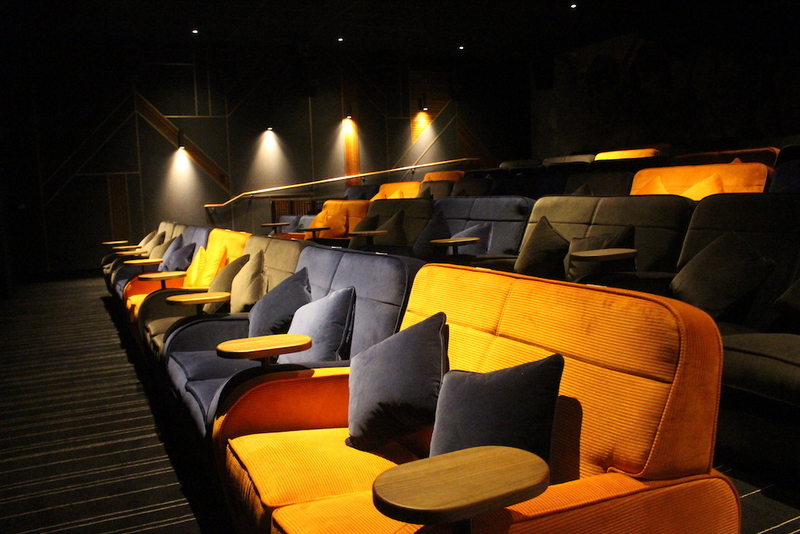 The new CineFLOOR range from Farrat offers designers, buyers and clients a ‘simple-to-select’ acoustic isolation solution for auditoriums of all shapes and sizes. From multiplex cinemas to boutique auditorium and private viewing rooms, CineFLOOR acoustic floating floors will keep sound constrained to its source so that you can create truly immersive auditory experiences. All CineFLOOR systems are designed with ease of installation and follow-on trades in mind. They do not require any ongoing maintenance and will last for the entire lifetime of a building. We are so confident of this that we offer performance warranties up to 25 years – the longest in the industry. 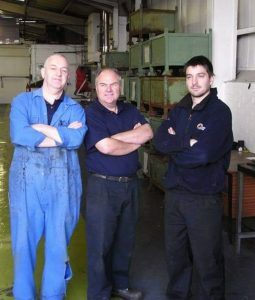 Our engineers have also taken special care to consider build-ability, reliability and robustness in each design to ensure that the operator’s key interests are always upheld. 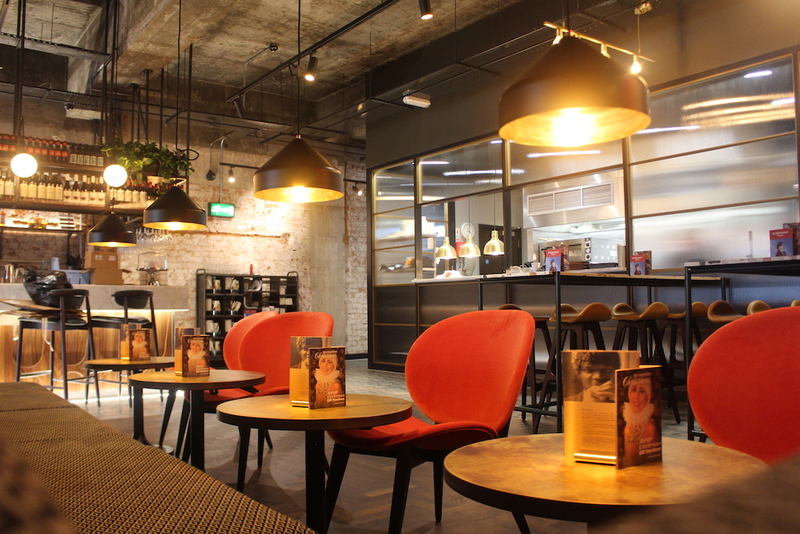 There are four grades in the range to reflect the most common design variables, ranging from minimum to maximum acoustic isolation performance: NEO, LITE, PRO & MAX. To view CineFLOOR key features, technical details and specifications, click here. CineFLOOR is a Farrat Isolevel Ltd owned brand. © Copyright 2019. 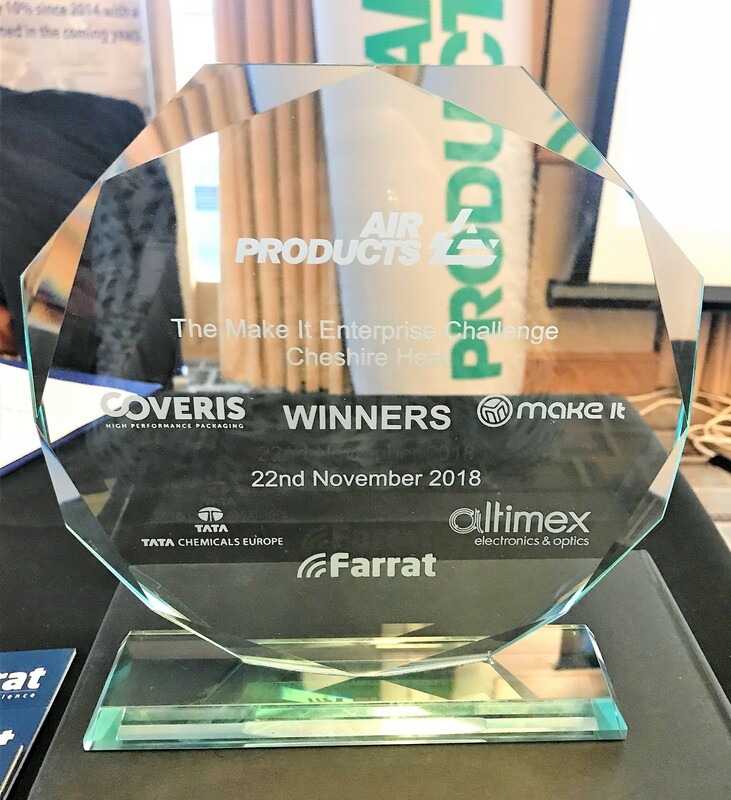 Last Thursday, Farrat was delighted to sponsor and attended the latest round of the The Manufacturing Institute‘s Make It Enterprise Challenge in Knutsford, where 12 schools from across Cheshire took part in a STEM competition to create a hygienic, efficient and profitable food factory. The Make It campaign delivered by The Manufacturing Institute, is a STEM initiative aimed at attracting the brightest and best new talent into manufacturing and promoting the sector as an exciting and rewarding career option for young people. Since 2006, over 30,000 young people and teachers have participated directly in hands-on manufacturing-focused activities that are proven to improve their perceptions of careers in the sector. 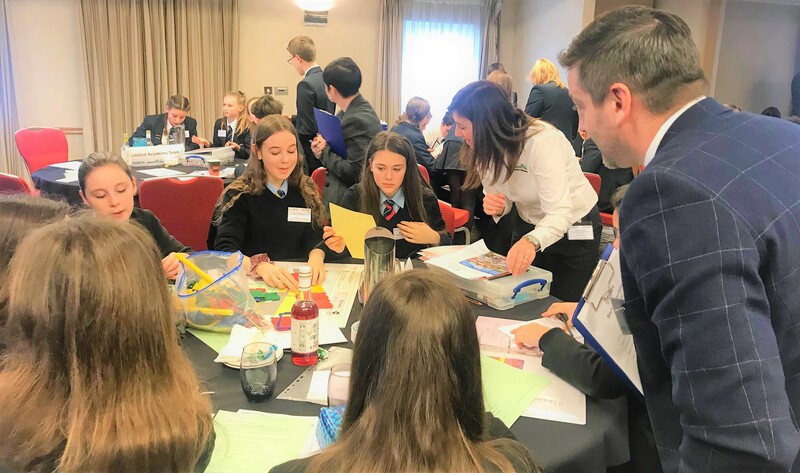 In last weeks Cheshire heat, which was sponsored by Farrat and four other North West manufacturers including Air Products, Coveris, Altimex and TATA Chemicals Europe, teams of 13 and 14 year-old boys and girls from local schools were tasked with establishing their own mini-manufacturing businesses in a bid to reach the 2019 Finals. 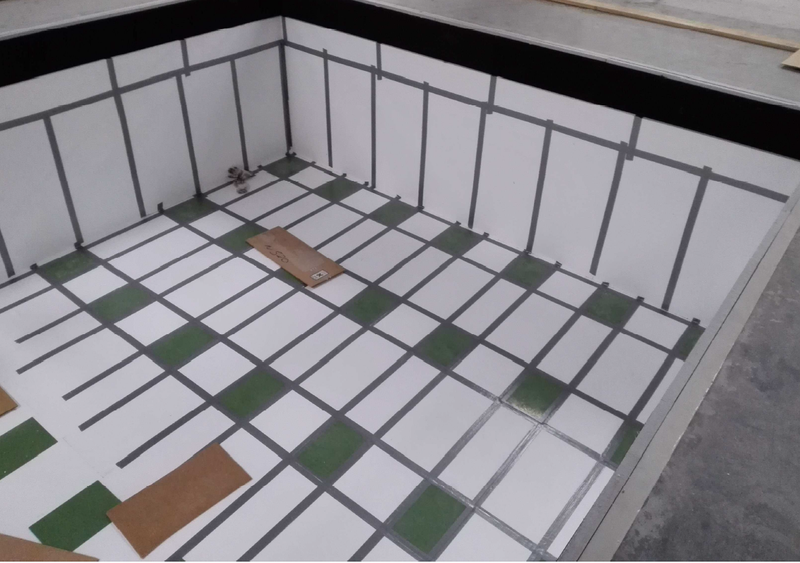 Students had to design and create a Clean Hygienic Efficient Food Factory for a commercial food manufacturer and complete a series of tasks in specific job roles. Roles ranged from Managing Director to Operations Managers, Finance, Sales and Marketing Managers. 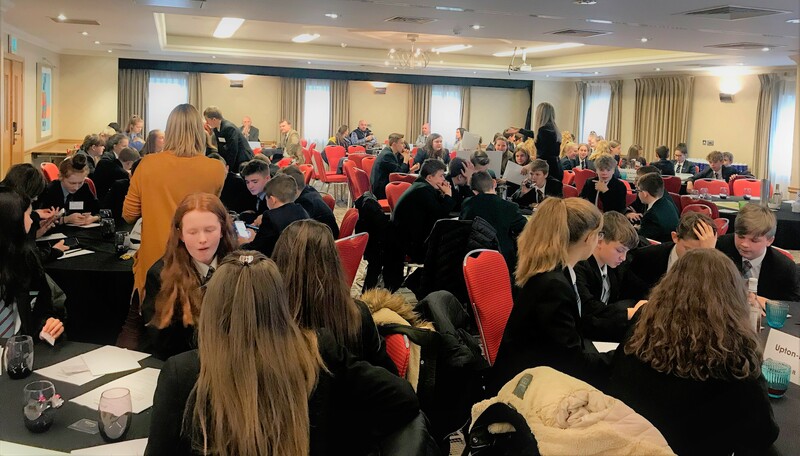 Once their factories were planned, costed and 3D modeled, students then had to develop a sales and marketing strategy and then pitch their fully costed ideas in a Dragons’ Den-style presentation. Help could be gained from Facilitators and Customer Advisers during the day. 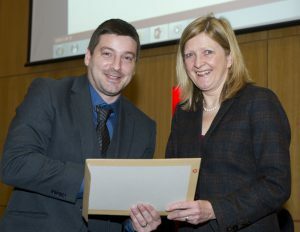 The judging panel included Farrat Production Leader Gareth Hogburn. 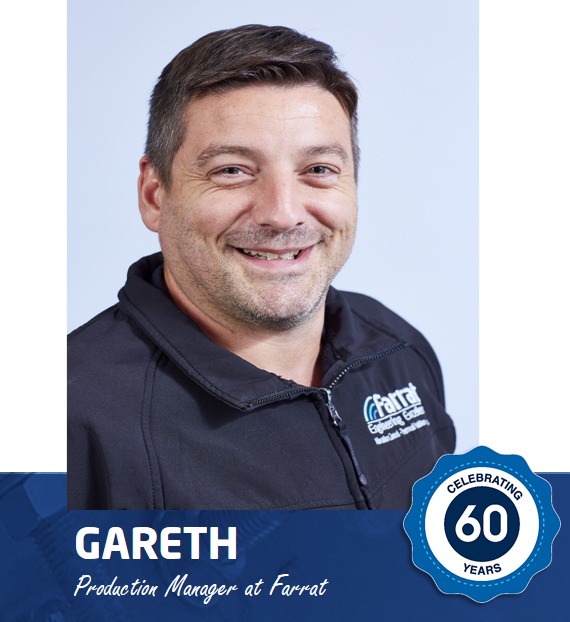 As a Fellow of The Manufacturing Institute who is trained in the latest LEAN Manufacturing principles & practices, Gareth had a great time quizzing and praising teams on their innovative design choices. All the schools showed great effort, enthusiasm and passion for manufacturing. 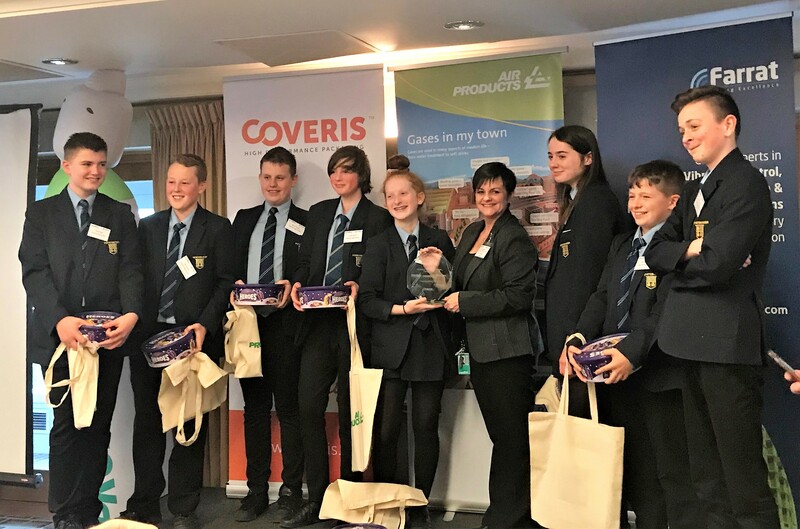 After much deliberation, congratulations went to Poynton High School who were crowned winners and took home the trophy of the Chesire Heat. Poynton will now go through to the final next year, to compete against finalists from across the UK. For more information on STEM events run or facilitated by Farrat, please contact us. In response to recent research released by PWC that the number of cinema screens in the Middle East are set to jump 38.4% to 1,800 in the next 3-5 years (up from 1,300 currently), the first-ever MENA Cinema Forum will be held this weekend at the Grand Hyatt Hotel in Dubai, October 28-29. 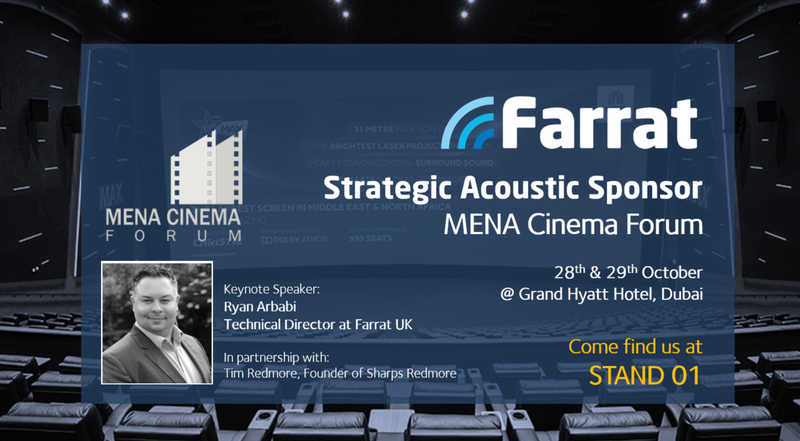 The MENA Cinema Forum will be the first ever business conference of its kind for the regional market and will be participated by 45 speakers and experts, 450 delegates and 90 sponsors, including high-performance sound insulation specialists from Farrat, who will act as headline Strategic Acoustic Sponsor. The conference will offer a detailed research on the current situation and future growth potential of the cinema industry in the Middle East and North Africa (MENA) region, in front of an audience of 450 industry professionals from over 45 counties. Ryan Arbabi, Technical Director of Farrat, and keynote speaker at the MENA Cinema Forum, commented on the decision to put Farrat at the forefront of the conference as Strategic Acoustic Sponsor, “This is the first event of its kind in the region and pulls a much wider audience than we’re typically used to speaking to. Leila Masinaei, Managing Director of GM Events, organiser of the MENA Cinema Forum, added that, “The 38.4% additional cinema screens will help the entertainment market to grow faster as additional capacities will be high enough to meet the growing demand that is expected to come from key countries in the MENA region. 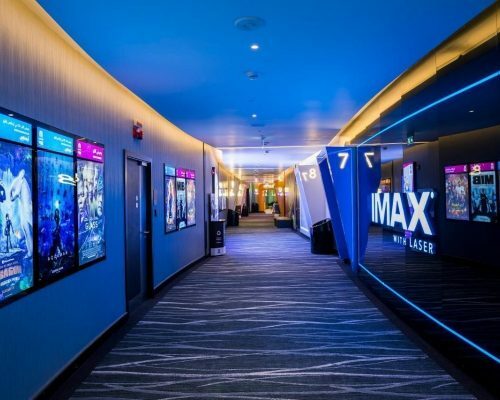 More than US$3.54 billion investment in cinema screens across the Gulf is expected to help the region’s cinema industry expand manifold, following Saudi Arabia’s historic decision to open up the sector 35 years after cinemas were banned in the Kingdom. 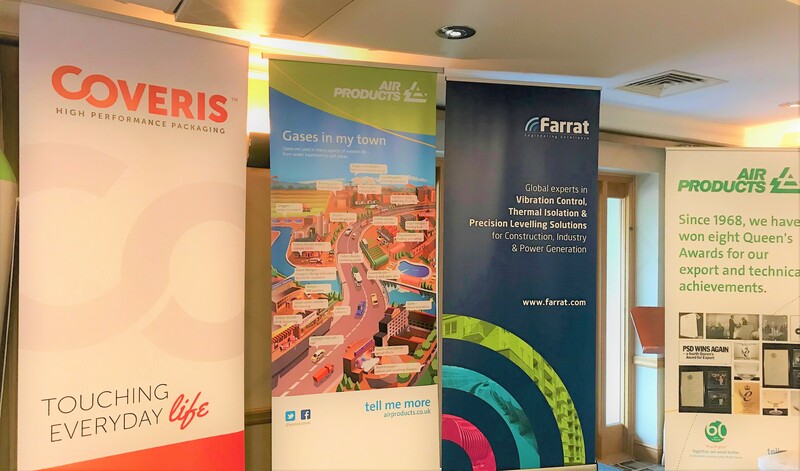 Oliver Farrell, CEO of Farrat, also commented on Farrat’s commitment to the new Total Acoustic Responsibility service in the MENA region, “In partnership with Sharps Redmore, we’re going to be announcing a brand new initiative exclusive to the MENA region. 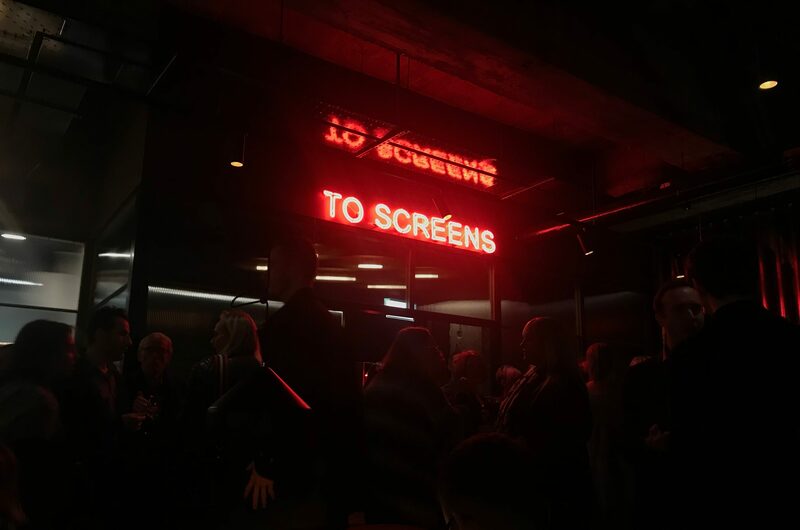 “It is unprecedented in its scope and something only world-experts in cinema design such as Farrat and Sharps Redmore could offer, so watch out for a number of exciting announcements from us across the course of the event”. The eventful conference will be full of activities including workshops, break-out meetings, site visits and major announcements, bringing together the entire spectrum of stakeholders involved within the cinema sector including, but not limited to; local and international governments, investment companies, mall owners, cinema operators and exhibitors, suppliers and industry leaders, to address the growing requirements of the cinema market within the region. Farrat will be exhibiting at STAND 01 throughout the 2-day conference. Follow live updates from the event over on our LinkedIn and Twitter pages. 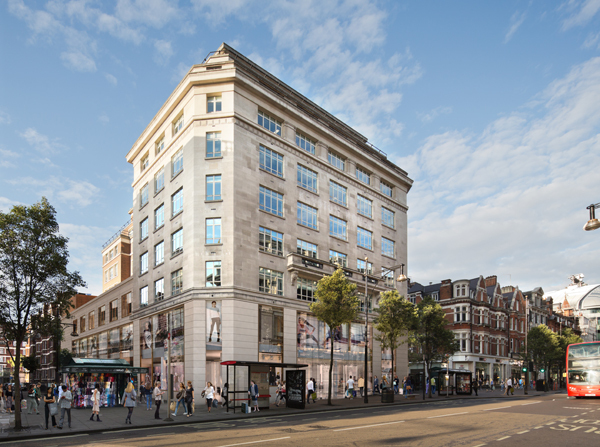 A joint venture between Grosvenor Britain & Ireland and Stow Capital Partners, the 425 Oxford Street retail scheme involves the reconfiguration and extension of the lower five floors of a 10-storey building in the West End shopping district, to create a 45,000 sq. ft flagship unit for Adidas. The redevelopment features new double-height windows on the ground floor and an extensive glass frontage. 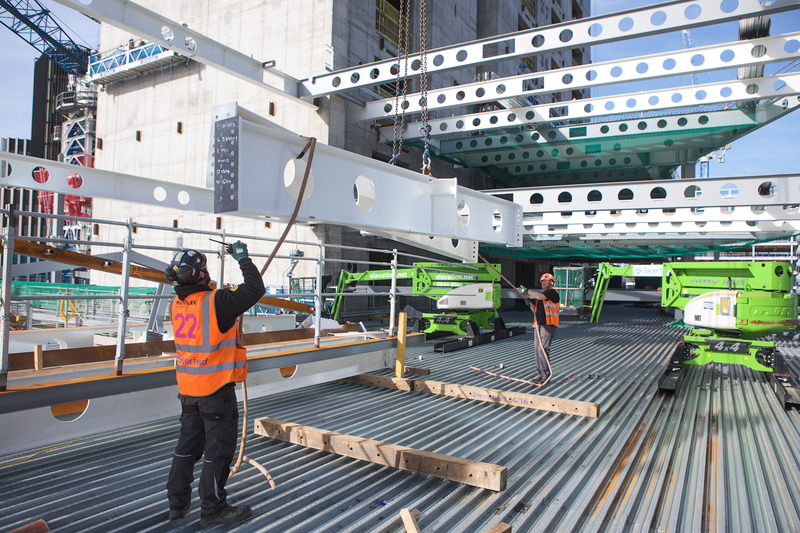 To prevent heat loss through the building facade, Farrat have supplied Structural Thermal Breaks for use within the facade retention steelwork. The facade thermal breaks will act as a thermal insulator and avert thermal or cold bridging. 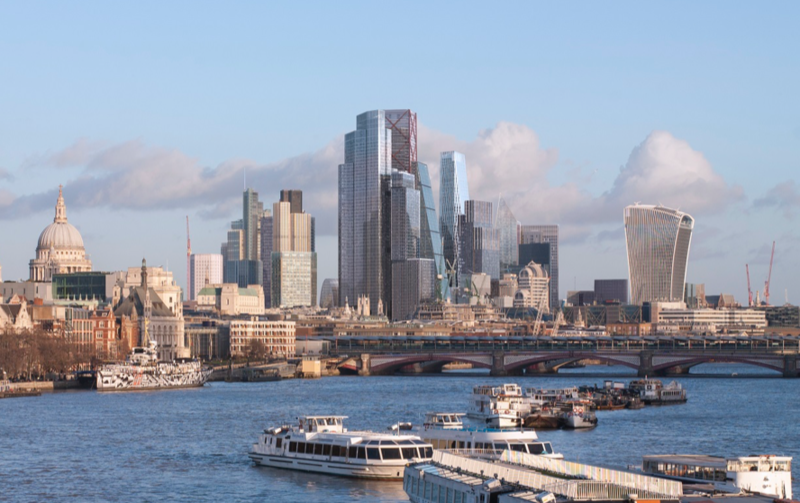 This is a simple, economical and extremely effective solution to meeting Building Regulations by way of reducing the risk of internal condensation. A full list of typical applications can be found here. Handover of the bespoke scheme to Adidas is targeted for Spring 2019. For material properties, design advice and specification details for Farrat Structural Thermal Breaks, please click here.